Make Healthy Diet And Lifestyle Choices. Research suggests that eating a vitamin-rich diet can help keep your hearing healthy. Avoiding smoking is also a likely plus, since the chemicals in cigarettes have been found to affect both the middle and inner ear. 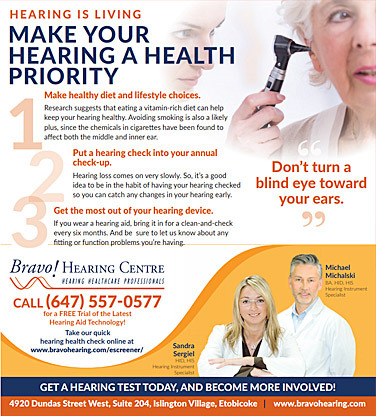 Put A Hearing Check Into Your Annual Check-Up. Hearing loss comes on very slowly. So, it’s a good idea to be in the habit of having your hearing checked so you can catch any changes in your hearing early. Get The Most Out Of Your Hearing Device. If you wear a hearing aid, bring it in for a clean-and-check every six months. Be sure to let us know about any fitting or function problems you’re having.